Estir Co Ltd, a venture team of Panasonic Corp, started a verification test of the “Waste Heat Recovery Stirring Engine,” which generates electric power from waste heat in a plant, in June 2009 at Panasonic Nara Plant in Japan. The company will test the reliability of the engine at the plant in operation in the aim of commercializing it in fiscal 2011.
estir has been engaged in the development of the stirring engine in collaboration with the National Maritime Research Institute since 2005. And it has already achieved a power generation efficiency of 15% with waste heat that was emitted from industrial furnaces such as drying, blast and heat-treating furnaces, power generating facilities, boilers and motors and has a temperature from 300 to 650°C. This time, the company will attach the stirring engine to the chimney flue of the high-pressure air distribution equipment in Panasonic Nara Plant. It generates 500W output power by using part of waste heat having a temperature of about 300 to 500°C, which is lower than before. If estir can verify the reliability in the test, it will develop a power generating engine with a capacity of about 5 to 10kW within fiscal 2009 in prospect of commercialization and aim to release a product in fiscal 2011 as an engine able to reduce CO2 emission at production sites. In the industrial world, about 10% of primary energy such as petroleum and natural gas is discarded as waste heat. Therefore, energy recovery from waste heat is a major issue in reducing environmental loads. A stirring engine is an external-combustion engine that expands and compresses the air inside the engine by using an outer heat source to obtain drive force. It can use various heat sources for power generation and is gaining attention especially in the field of energy conservation. There has already been a stirring engine that uses heat of combustion gas with a temperature of more than 1,000°C. But it has been difficult to commercialize a stirring engine that uses waste heat having a temperature of about 300 to 500°C, such as waste heat in a plant, due to the low power generation efficiency and high costs. Scientists in Japan are using radio waves rather than x-rays to detect explosives such as TNT in landmines or luggage. They say their new technique is better than conventional methods of detection and can identify different types of white powder, from flour and salt to drugs and explosives. 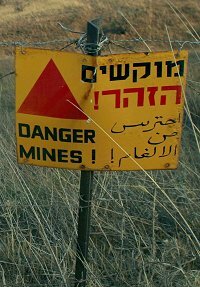 The technique can also identify landmines, an improvement from traditional metal detectors that cannot tell bits of metal in the ground from an actual mine. 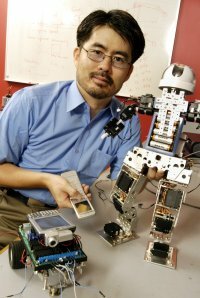 “Until now it has been very difficult to detect specific explosives such as TNT because they contain atoms of nitrogen that vibrate at very low frequencies,” says Professor Hideo Itozaki at Osaka University, one of the authors of the paper published in the latest issue of the journal Superconductor Science and Technology. He says the lower this resonant frequency, the harder it is to detect which atoms are present in a molecule. This, in turn, makes it harder to define what the molecule or substance is. To overcome this, the scientists turned to a technique called nitrogen quadrupole resonance, which uses radio waves to detect atoms of nitrogen in different positions in a molecule. For example, a nitrogen atom attached to a carbon atom will have a different resonance to one attached to an atom of oxygen. Because the molecular structure of each explosive is different, the resonant frequency will be different. The scientists then developed a device to detect these subtle differences in vibrations, a superconducting quantum interference device, or SQUID. The device, which is only about 1 centimetre across, operates at -196°C, so needs liquid nitrogen to cool it. “This will not hinder the equipment from being used in places such as airports as liquid nitrogen is becoming much easier to deal with and is already routinely used in hospitals and laboratories,” says Itozaki. One hitch for now, though, is that the screening time takes “several minutes”, something the team is working to improve. Biotechnologists have genetically engineered brewer’s yeast to glow green in response to an ingredient found in landmines, a new study shows. 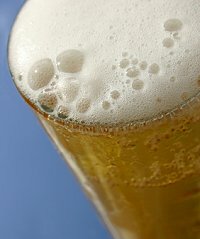 The study, published today online in the journal Nature Chemical Biology, shows the yeast can detect, or smell, airborne particles from explosives. The scientists engineered the yeast Saccharomyces cerevisiae to sense molecules of the chemical DNT, or dinitrotoluene. DNT is left over after making the explosive TNT, or trinitroluene. And dogs trained to sniff for explosives are believed in fact to be trained to detect DNT. The scientists spliced a gene found in rats into the yeast’s genome so that the surface of its cells reacted in response to DNT. To get a visual cue as to whether this ‘nose’ had detected DNT, the scientists also added a gene to turn the yeast a fluorescent green when contact was made. The authors, led by Associate Professor Danny Dhanasekaran of Temple University School of Medicine in Philadelphia, believe they have found a useful, if so far experimental, type of biosensor. These gadgets use organisms to detect environmental chemicals, including biological or chemical weapons. The Council of Australian Governments (COAG) has agreed to set up a national telephone emergency warning system to which the Federal Government has committed up to $15 million. The system, which gained importance after the high death toll of the Victorian fires earlier this year, will send warning alerts — recorded voice and SMS — to people based on the billing address of the subscriber. It was not technically possible as yet to send alerts depending on the location of people’s mobile phones, according to Prime Minister Rudd, but he said that COAG had committed to undertake research with industry so that it could be done. The system will be operational by October 2009 according to the COAG communiqué. An open tender process will be held to find a suitable developer. When completed, it will be operated by the State and Territory authorities. Telstra said it was continuing discussions with the governments and authorities at the states and federal level on the matter. The government had come under fire [PARDON THE PUN] over the lack of a warning system after it was revealed that a system had already been trialled, but that the government had not managed to work towards putting it into place, reportedly due to its high $20 million price tag. Another related government tender to build a secure database, which could provide access to the necessary telephone numbers while protecting individuals’ identities, closed this week.